Photo of Star Wars: Episode VII’s Chrome Stormtrooper! We’ve not heard this from anyone directly. 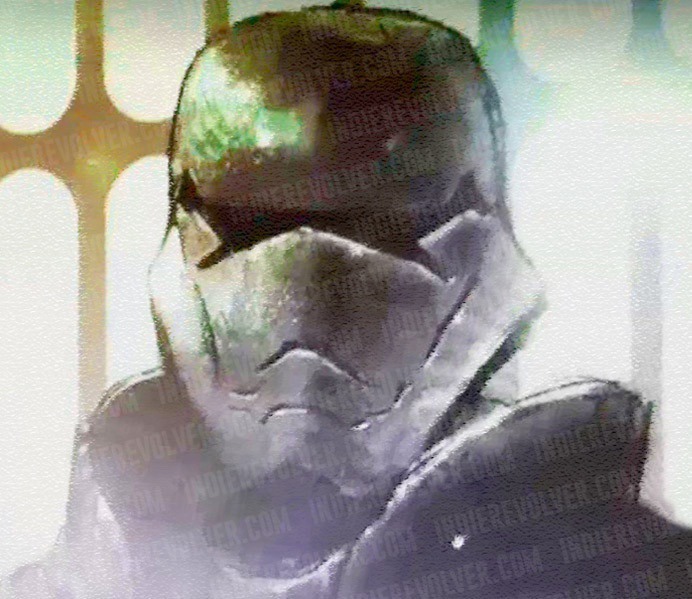 The design of the helmet is not unlike the standard Stormtrooper “cranium.” The mouth is a little longer, the face a little longer. 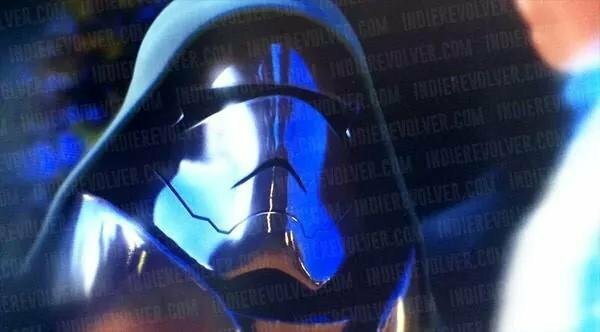 The eyes are a single visor like the recent EPVII Stormtrooper helmet that is out there. But the eyes point up at the corner and down, almost like if the visor intersected with an X on both ends. x——x Unlike the classic Stormtrooper design, there is no black band above the eyes. The chrome troopers do not actually wear a hood or covering in the film. The metal collar stands up from the torso armor and curves up on the sides before dipping down again at the back. I’m geeking out here and all I can say is that Star Wars: Episode VII is going to rock.